The year is 2017. Phone companies are no longer crazy about fitting the biggest screen in a smartphone. The new craze is to fit the biggest screen in the smallest body. Thanks to that, we now have truly beautiful phones whose screens cover every inch of the smartphone’s front — even curving on the edges on some. Yet, in this day and age, there are two phones that have lost their relevance. In fact, they have lost the purpose of their existence, forcing us to ask the question that, why were they even released? After the infamous Galaxy Note 7 fiasco, Samsung has always been in a tough situation concerning its phablet series. Many wondered if the company would even bother continuing the series and maybe, they were right. The Galaxy Note series may have made sense when it existed for people who loved huge screens but not any more. Samsung’s own flagship, the Galaxy S8, has a display that is half-an-inch bigger than what the original Note had. Even then, it would have been reasonable as a bigger option if it weren’t for one more fact — one introduced by Samsung itself, the Samsung Galaxy S8+. The “Plus” version of Samsung’s flagship, the S8+’s sole purpose is to exist as an oversized option for people who love big phones. Isn’t that what the Note was all about? A kind of an oversized flagship? The two phones are like two peas in a pod. Even the Note 8’s display is almost the same as the S8+ (just 0.1 inches bigger). They are so similar in almost every aspect that, if you didn’t really know about the external differences (the stylus and the camera), you would be hard put to distinguish one from the other. Camera: Note 8’s primary camera is the same as the Galaxy S8+ but it also comes with a secondary 12 MP camera that has a telephoto lens, adding some extra features like lossless zoom and software-based depth of field. In normal day-to-day usage, you aren’t likely to notice any difference. Stylus: The stylus is an integral part of the Note 8 and probably the only reason a person should buy the phone. However, is it really worth the extra money? Not many people I know have bought a Note for its stylus. The stylus sounds like more of a luxury than a necessity. RAM: The Note 8 has 6 GB of RAM, as compared to the S8+’s 4 GB. For a phone, 4 GB is already overkill, meaning you aren’t likely to notice any speed bumps in normal usage. Now comes the worst part about the Note 8 — the price tag. The phablet retailed for $930, around $80 more than the Galaxy S8+. If you’re in Pakistan, that price gap is likely going to be even bigger, especially considering that the Note 8 was just released. Why not just do away with the Note 8 and release the S8+ with a stylus? 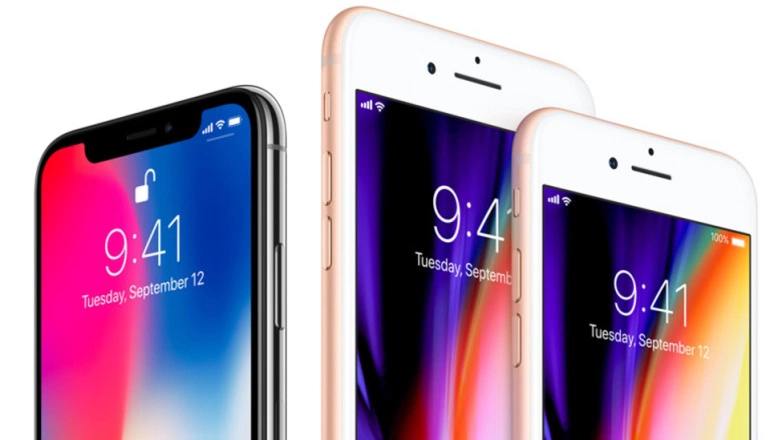 Just like Samsung, Apple is itself responsible for making the iPhone 8 (and the 8 Plus) redundant. The iPhone 8 was overshadowed by the stunning and nearly bezel-less iPhone X before the launch event was over. In fact, it was never really the phone that the world was waiting for, and Apple knew that. The iPhone is more of a brand statement than a smartphone choice these days. People buy the latest iPhone to own the latest and the greatest iPhone, not just to buy a good phone. But with the iPhone 8, there is really no point buying because as soon as it was released, there was already a much better choice — the iPhone X. Nobody is going to fawn over the 8, with its giant last-gen bezels and a design that is already a bit on the dated side. There is a better option — the iPhone X. It looks and feels exactly the same as the iPhone 7 (including the giant bezels). If you are going to buy the cheaper iPhone, you may as well buy the iPhone 7 which now costs $549 ($150 cheaper than the cheapest iPhone 8 and would feel almost the same. Apart from the number at the end of their names, the iPhone 8 and Galaxy Note 8 have nothing in common — except that both don’t really have a good reason for existing. Whatever my opinion may be about the two phones, one thing is for sure! Samsung and Apple are still going to sell millions and millions of Note 8’s and iPhone 8’s. 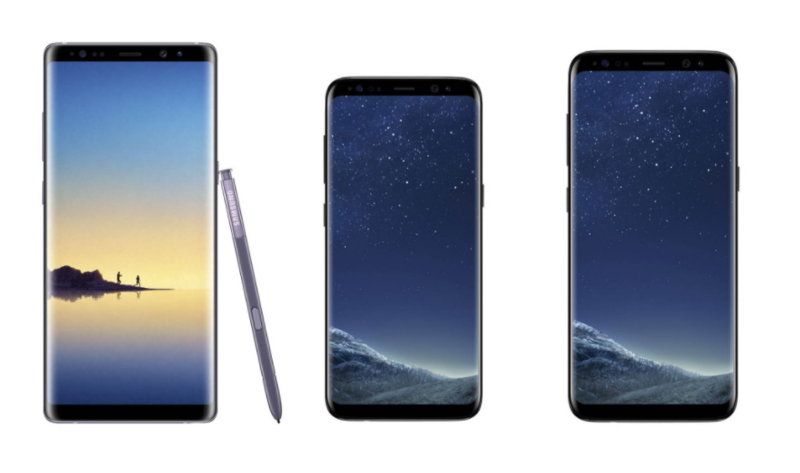 The Note 8 has already broken the record for being the most pre-ordered Note phone ever, proving that as long as you are a global smartphone giant, people don’t really care if your last smartphone was prone to exploding whenever it felt like it. Moreover, it also goes on to show that companies like Apple and Samsung, who now operate a smartphone duopoly, have a way of convincing people to shell out money that no other company has mastered. Who would have thought that people would be actually willing to buy a $1,000 phone in 2017?